Handcrafted multifunctional bowl with unique etched pebble textured design. Top coated with transparent enamel. 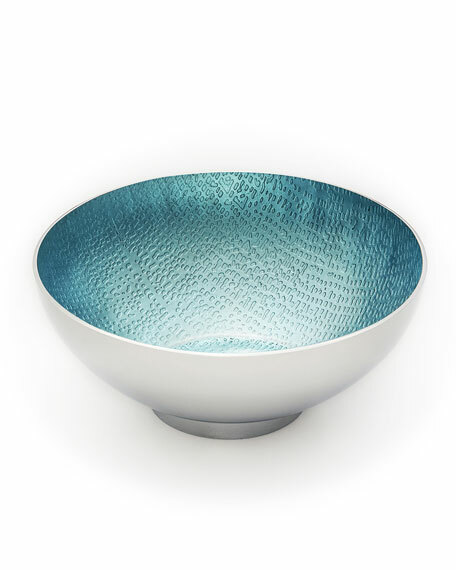 Stainless steel plated with silver and enamel natural resin on bowl interior. For in-store inquiries, use sku #2344929.